When you become a Summer Associate you will be given a manager and a mentor! This will be incredibly helpful as you get to benefit from the experience and knowledge of these two seasoned professionals. Personally, I benefited tremendously from a great relationship with both my manager and mentor. From day one, we just cliqued! It is imperative that you build a work relationship with your manager and mentor. Say good morning and good night when you are coming and leaving, ask questions, offer help outside of your designated projects, invite them to have lunch together – these are great examples of ways to build good work relationships. These relationships will prove valuable, for you are guaranteed a connection with these two professionals. You get the unique chance to learn about their stories and how they got to where they are. Additionally, your networking skills will improve and you will learn to use them as a tool to gain exposure to other professionals and departments at UPMC. Building a dynamic relationship with your manager and mentor will help make your work environment awesome! It’s important to remember that your manager and mentor will also benefit from your relationship! They already know that you are a valuable team member that brings innovative ideas to the plate. Furthermore, they can watch you own and implement those ideas and grow as a professional (my manager’s favorite part!). They will reveal and evidence that your work here at UPMC makes a difference in people’s lives. Being a Summer Associate is an experience like no other. This comprehensive program cannot be duplicated as it truly is a one of a kind opportunity. 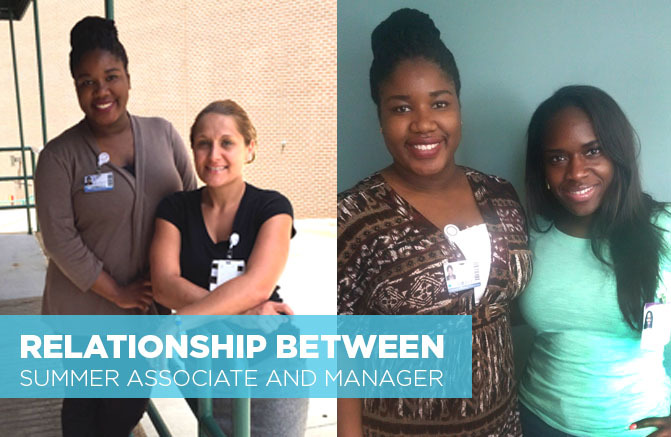 As a Summer Associate, I have experienced firsthand the rewarding feelings of making a difference, as well as the continuous support, and the countless opportunities that present themselves here. My manager and mentor both played a very important role in making my time here as a 2015 Human Resources Summer Associate successful.